Costa Rica Real Estate Listings for Sale! 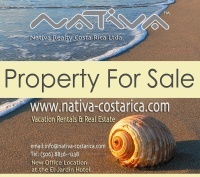 Nativa Realty Costa Rica Ltda. 2010-2017 © all text on this web site is original content and owned by Nativa Realty Costa Rica Ltda.